In my dreams I'm a big rock star. So whenever time affords, I bang away at the piano or the guitar and write songs. 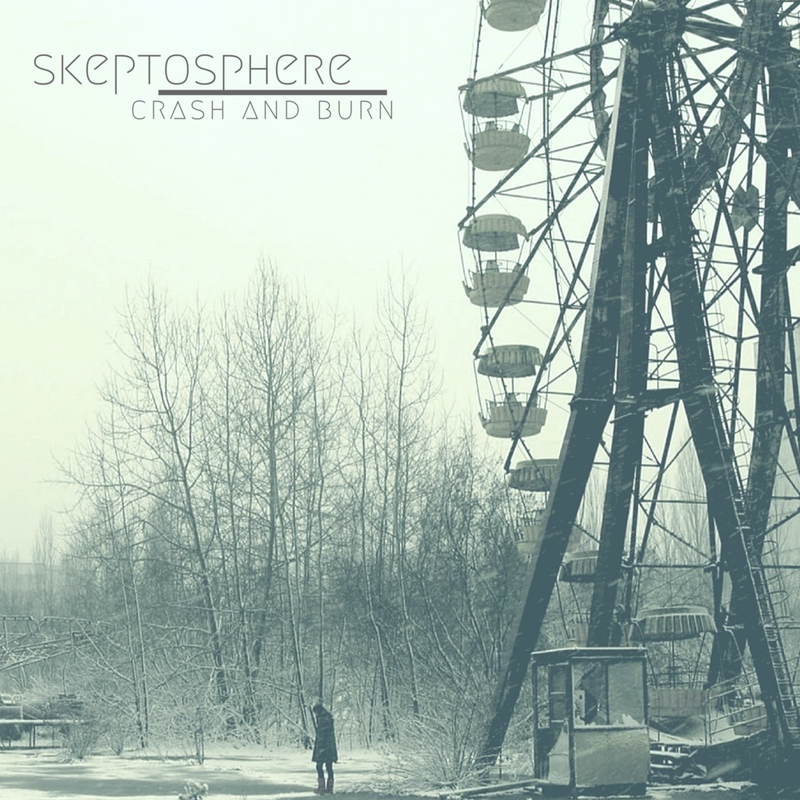 The Time Machine is the second Skeptosphere single for 2018, featuring the same lineup as Crash and Burn. This one is a little darker, features some wicked soloing from Alexandre Monari, and of course drums from the legendary Mark Zonder. My main musical outlet with my bandmate from back in the Edmonton days, Alex Tamulis. Progressive rock with melodic choruses and a slightly dark underpinning. Alex Tamulis (vocals, bass), Paul Holloway (rhythm guitars, keyboards), Alexandre Monari (solo guitar) and featuring Mark Zonder (drums, ex-Fates Warning). Mixed by Grammy award winning engineer Phil Magnotti. The first single is "Crash and Burn", released April 2018. This is a pop-rock side project with Alex Tamulis, who fronted our band Mine All Mine when we both lived in Edmonton. The "Soft Targets EP" includes re-recordings of two songs from Mine All Mine's first album, "Distance" (2006). Available at CDBaby, iTunes, Spotify and others. The live album. Recorded at the legendary Urban Lounge on Whyte Ave. in Edmonton. Recorded by Kevin Friesen. Same lineup as Hold the Balance. Awesome photography courtesy of Mike's entourage. Second studio album from Edmonton's Mine All Mine. Alex Tamulis (vocals, guitar), Paul Holloway (keys, guitar, backing vox), Mike Bayrak (bass, backing vox), Grant Bilokryly (drums). Drums recorded at Zzounds of Sounds (Beaumont, AB) by Dan Mabee. Mastered by Tim Branton at Joao Carvalho Studios (Toronto).